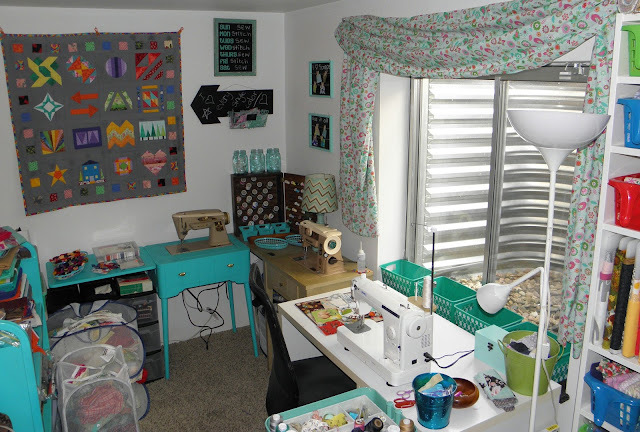 Yesterday I had a whole unexpected day in my sewing studio, because my plans got postponed until next week! I spent a couple of hours working on a custom order childhood memories quilt first. Then I felt I deserved some selfish studio time, so I rearranged my studio! I packed away one of the large folding tables I had out and put two cabinet model sewing machines in the NW corner where it had been. I had been wanting to do this for a while. My plan is to set up each machine for a specific WIP. I jump from thing to thing and this way I won't have to pack away one thing to work on another, or re-thread my machine. I also put my ironing board in the center of the room under the light fixture where I can plug it into the roof for easier use and less cord tangling. Then I made about 20 reusable shopping bags from old sheeting that I wanted to use up. I will donate these to the thrift shop at the high school for teen moms where I volunteer twice a week. I have about 20 more bags to sew later this week which means then I didn't have to find a spot to store all that fabric I didn't want. 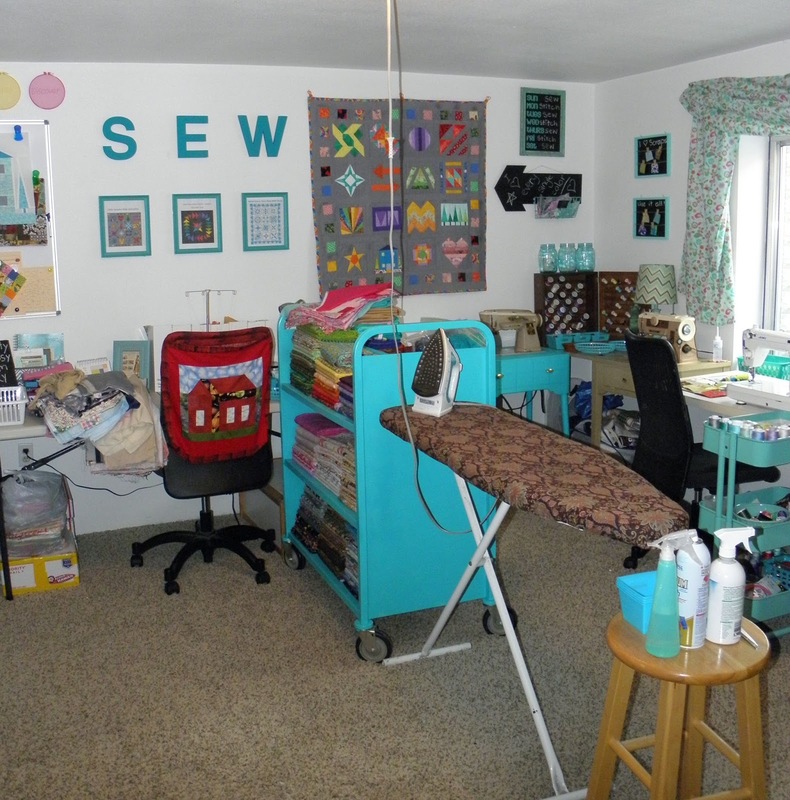 None of this was what I planned to do in my sewing studio today!!!! I had two paper pieced quilt blocks to pattern test!!! That did not get done. Oh well, baby steps is better than no steps!